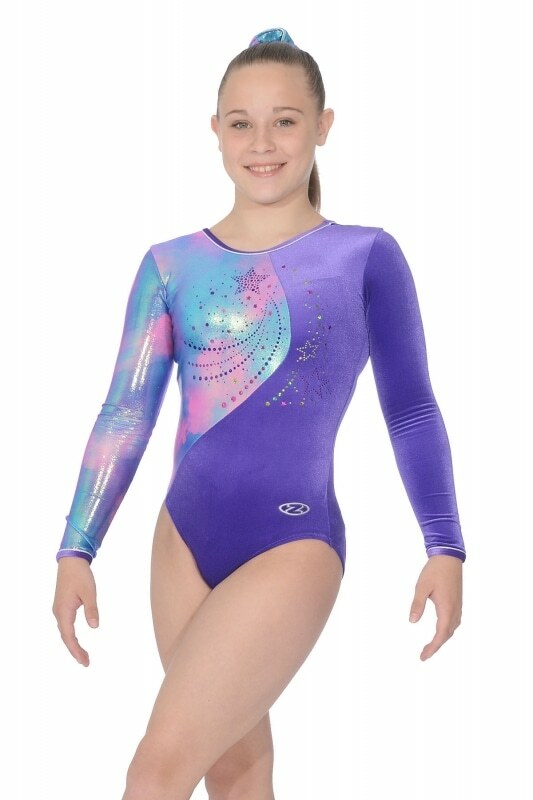 The glowing Gemini Z457GEM long sleeve leotard from The Zone. This stunning leotard has a shimmering hologram sequin motif against a smooth, deep Velour/Lycra and a pearlised Gemini print panel. This vibrant design is perfect for a shining star in the gym.